Good. 2004. Mass Market Paperback. Previously read, but remains good.....We ship daily from our Bookshop. Very Good. Resisting those who would use a revolutionary new technology for unethical purposes, doctor David Tennant and psychiatrist Rachel Weiss run for their lives from ruthless NSA agents and turn to David's unusual dreams for guidance. Mass market (rack) paperback. Glued binding. Good. Resisting those who would use a revolutionary new technology for unethical purposes, doctor David Tennant and psychiatrist Rachel Weiss run for their lives from ruthless NSA agents and turn to David's unusual dreams for guidance. Mass market (rack) paperback. Glued binding. Very Good. 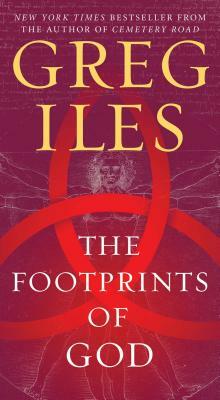 The Footprints of God by Iles, Greg. Glued binding. 546 p.